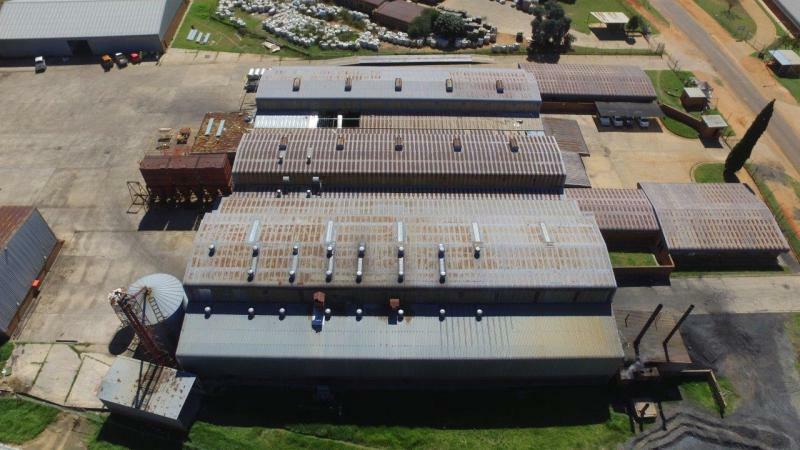 As part of the Department of Trade and Industry’s “Revitalisation of Industrial Parks Programme”, Ekandustria Industrial Park in Bronkhorstspruit is undergoing a complete upgrade. The R50-million first phase kicked off earlier this year and includes the repair of the extremely dilapidated roofs. 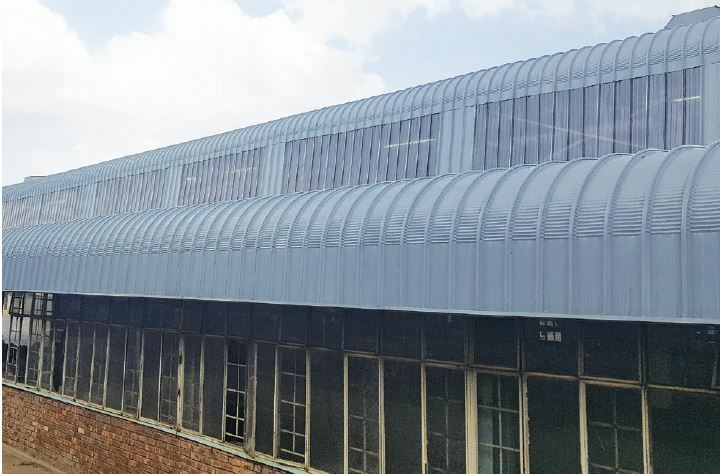 Pro Roof Steel & Tube is in process of supplying 36 000m² of the patended ProLok 700 roof sheeting in 0,58mm guage dove-grey Chromadek® and approximately 6 500 linear meters of flashings. This amounts to more than 220 tons of material. ProLok 700 is a concealed-fix metal roof sheeting system ideal for commercial and industrial roofing applications with optimum wind-load resistance. According to Pro Roof’s Stefan Marx, the profile was independently tested according to SANS 10237-2014 and the ultimate limit state of the sheeting system was found to be 1,95kPa/1,3≈1,5kPa. Marx further points out that when it comes to r oofing industrial buildings such as those at Ekandustria Industrial Park, a concern with long-length sheeting is thermal expansion and contraction of the roof sheet, as well as the potential damage that can be caused by the abrasive edges of metal clips. This could cause erosion of the roof sheet and could result in long slits on the side of the ribs, compromising water tightness. Due to the demand for long-length sheeting, Pro Roof has set up a mobile rolling mill on the Ekandustria site and as over 90% of the sheeting is being bull-nosed this is done on site to ensure quality sheeting is delivered in a timely fashion. What’s more, since job creation is one of the goals of the government programme, Pro Roof is developing the skills of local labour from the area by doing on-site training for the installation of the roof sheeting. Quality checks are done during and after installation to ensure the roofs are securely covered. It is envisaged that once the park is upgraded, it will attract investments that will contribute to the country’s industrial development and economic growth through manufacturing and job creation. Maximum recommended pitch on timber and steel: 7°. Minimum pitch on timber: 3°. Minimum pitch on steel: 2°.